Family and friends mourned Friday night the loss of a former Los Angeles County Sheriff's Department technician, who was one of the five police officers gunned down in Dallas Thursday night. Lorne Ahrens, who grew up in the San Fernando Valley and spent years as a dispatcher at the Los Angeles County Sheriff's Department, was remembered as a gregarious, loving friend and colleague. "He always wanted to be in law enforcement," said Capt. Ken McWaid, a former colleague of Ahrens at the LASD. "You could tell that when you first met him. He was always there, always had smile on his face. He was a big guy with a big heart and you could always count on him. "He really loved what he was doing." The department paid tribute to him on its Facebook page. "The Los Angeles County Sheriff's Department is saddened to learn that one of the fallen Dallas Police Officers was a former member of the ‪#‎LASD‬," the post said. He served as a deputy at the LASD from 1991 to Jan. 23, 2002, then began his service with the Dallas Police Department two days later, his colleagues said. 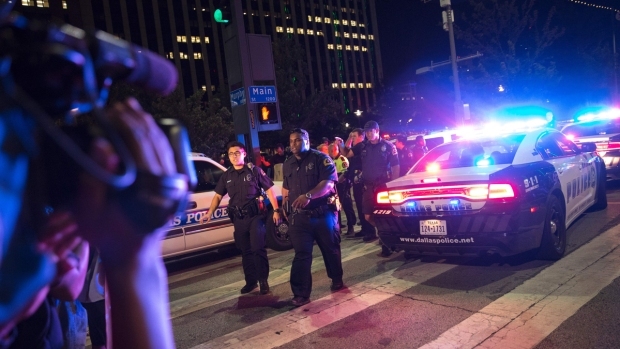 He was killed Thursday after a sniper opened fire on officers in at the close of a peaceful protest against officer-involved shootings in Dallas. Twelve officers were shot, five fatally. "Lorne was a big guy with an even bigger heart," said former colleague Capt. Merrill Ladenheim in the LASD Facebook post. "He will be sorely missed by the LASD family. Our thoughts and our prayers go out to Lorne's family and all the men and women of the Dallas Police Department, the Dallas Area Rapid Transit Police and the great state of Texas." While in Southern California, Ahrens served at the Lennox and Lancaster Sheriff's stations and was "a highly regarded and respected public servant." The post said colleagues described him as someone who "always had a smile on his face and greeted you with kind regard." He was "an incredible dispatcher" who served the patrol deputies in the field by always looking out for them and taking officer safety into account when dispatching calls for service, deputies said. 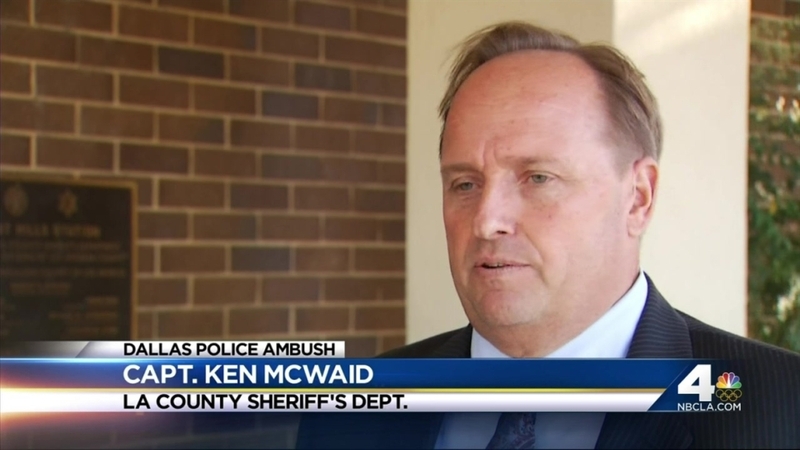 "It really hit home," McWaid said. "We all feel together. I just really feel for his family."